A well-known critic once described our wines as “swoon inducing.” While we’re not sure exactly where this quality originates -perhaps in the earth and sun of our low yield vineyards, or in the hands of our masterful winemakers -whatever it is, it gives Carter Cellars wines the ability to stir the passions and overwhelm the senses. The Carter Cellars 2016 vintage possesses our signature qualities of finesse and verve, alongside a deep and true representation of the vineyards from which they were sourced. For the fifth year in a row, we were fortunate to have a superb growing season and flawless harvest that we matched with talented winemaking. The resulting wines showcase some of the best of what Napa has to offer: delicious ripe fruit and rounded firm tannins, all buttressed with balanced acidity and structure. The 2016 vintage is in Pre-Release. Get your limited production wines before they sell out. 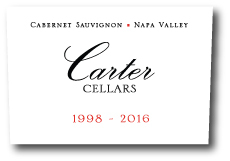 Explore the renowned Napa vineyards that provides Carter Cellars its fruit.